The last American male boxer exited the London Games on Tuesday to complete a humiliating first Olympics without a medal for the most decorated nation in the sport as Cuba, Ukraine and Britain added to their tallies. 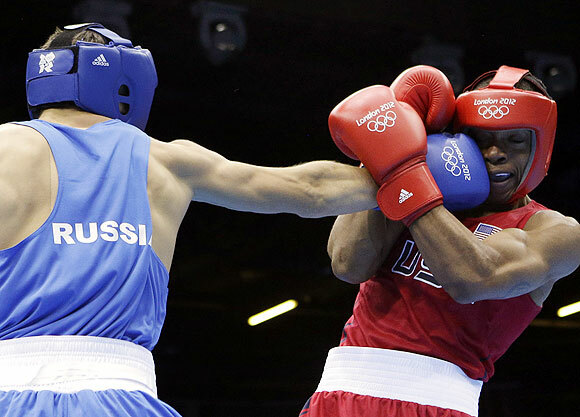 Welterweight Errol Spence lost 16-11 to Russian Andrey Zamkovoy in his quarter-final, failing to take advantage of the second chance given to him by organisers AIBA, who changed the result of the American's previous bout after a video review. Spence's loss followed that of his eight team mates as the Americans outdid their woeful one bronze from the Beijing Games four years ago. Not the result you would expect from a nation that can boast previous Olympic gold medallists such as current middleweight champion Andre Ward, multiweight belt holder Oscar de la Hoya or the greatest of them all, Muhammad Ali. Spence said more should have been done and appealed for help from the country's previous Olympians to fix the issues before the 2016 Games in Brazil. "I think we need more international fights early, we need a better programme, we can't rush into things like we did," Spence said. "We need to get the coaches earlier and have a lot of the professional boxers who leave the amateur system come back in and help out with the amateur programme. "They have a lot of experience and knowledge that would help us in 2016. I think Andre Ward had a lot of experience, just a lot of the past Olympians like (middleweight) Andre Dirrell." Zamkovoy landed the cleaner shots throughout the contest with Spence and a couple of strong left hooks caught the eye. 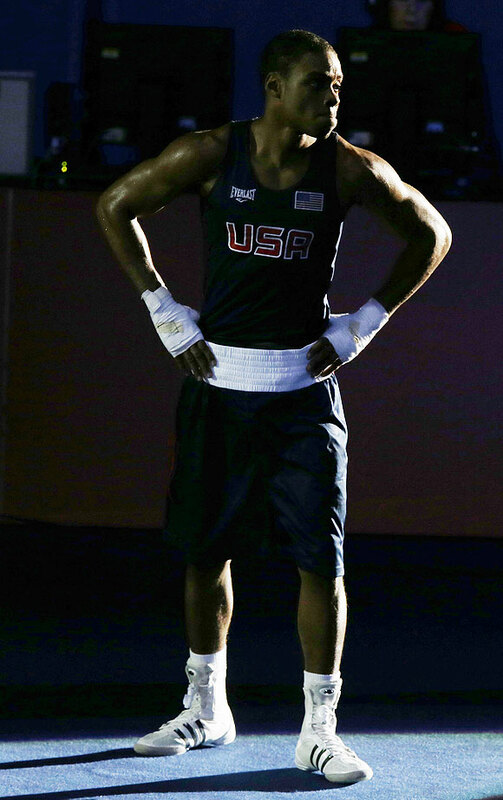 Thankfully for American fans, the women boxers have picked up the slack by guaranteeing at least two bronze medals. 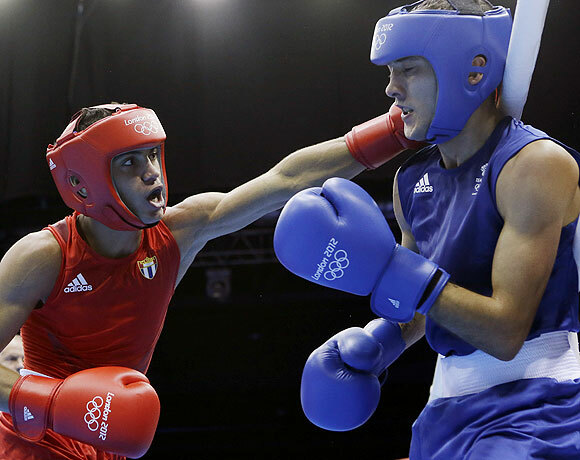 Earlier, 18-year-old flyweight Robeisy Ramirez Carrazana guaranteed more medals for Cuba with a classy display to take out Briton Andrew Selby and quieten the noisy crowd at the ExCel Arena. Carrazana took most of Selby's blows on the gloves with some canny defence before unleashing flurries of punches with both hands to bamboozle the Briton. "He was the better man on the day," said Selby. "I threw more combinations and was letting my shots go but he was just getting me before I got my hands up." 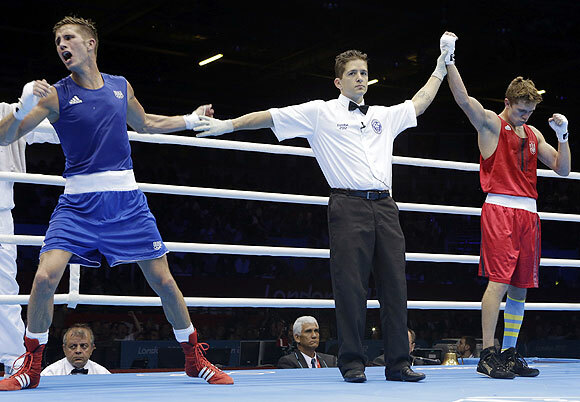 Carrazana will face Ireland's Michael Conlan for a place in the final. Conlan came through a close battle with France's Nordine Oubaali and credited a slap in the head by his coach before the start of the third round as a spur to victory. "He told me to wake up a bit because I was a bit quieter than what I have been in other fights with him," Conlan said. "Thank god he gave me that slap in the head and drove me on and I got the win." There was more French disappointment in the welterweights when Alexis Vastine lost on a countback to Ukrainian top seed Taras Shelestyuk after the bout ended 18-18. Vastine was reduced to tears for the second Games in a row and began a sit-in protest in the ring before his coach took him away. Canada's Custio Clayton was another to suffer the heartache of a countback defeat as he lost to Briton Freddie Evans after the scores were tied at 14-14. Clayton and Vastine appealed against the decisions to AIBA but they were both rejected.